I was not yet born when American singer-songwriter Bob Dylan’s epic albums ‘The Freewheelin’ Bob Dylan’ (1963) and ‘The Times They Are A-Changin’’ (1964) burst upon the music scene and captured the world’s imagination. But I remember growing up to those songs in 1970s Goa. The beauty of his songs lay in their simplicity. With no frills at all, with just his guitar and harmonica backing his vocal line, they were searingly honest, unpretentious and direct. The chord progressions were simple, the verses ballad-like. You could literally just pick up a guitar and learn them in a few minutes. UNLIKE his rock star peers, he was a wandering minstrel, a troubadour. And like those itinerant musicians of yore, he sang, sometimes in riddles, but about contemporary issues that were raging. And that seemed to appeal to his generation, jaded as they were by the diet of lies and subterfuge by their own government, and in America in particular that was reeling under protests over civil rights, and a mounting death and casualty toll (high enough on the American side, but of genocidal proportions on the ‘other’ side, civilian and military) in a disastrous Vietnam war to which there seemed no end in sight at the time. Is it any wonder that his songs became the anthems of that age, almost the sound track to both, the civil rights and anti-war movements? NUMEROLOGISTS will probably find some significance in the fact that 2016 is the year in which Dylan gets perhaps the crowning accolade of a lifetime, the Nobel Prize for Literature. Yes, not for peace, but for literature. And he makes history in being the first songwriter ever to receive such an honour. The justification? It is in acknowledgment of his “having created new poetic expressions within the great American song tradition”. For all my admiration of his music and lyrics, I must confess to having mixed feelings on receiving the news. But first let us examine the case for the proposition that he well deserves a Literature Nobel. One could argue, as Sean O’Hagan has done in the Guardian (October 16, 2016), that it is his personal voyage of discovery as a songwriter that is being lauded through the Literature Prize, having stretched the genre – “and himself” in the words of O’Hagan – “almost to breaking point”. In the late 70s, Dylan embraced the ‘born again’ sect of Christianity, mystifying and alienating some of his fans and contemporary musicians. But perhaps it was a logical culmination of a journey that had begun much earlier. Perhaps I am reading too much into his lyrics, but what is one to make of “I dreamed I saw Saint Augustine” from his 1967 album “John Wesley Harding”? But let us return to the current issue of the Nobel Prize for Literature award for the first time to a songwriter. Why now, and why Dylan? If the yardstick was creating “new poetic expression within the great American song tradition”, why did Cole Porter or Irving Berlin not qualify in their time? Or Billie Holiday or Nina Simone? And if for the social activist content of the lyrics, why not Joni Mitchell or Joan Baez? Furthermore, as Anna North wrote in her op-ed “Why Bob Dylan shouldn’t have gotten a Nobel” in the New York Times (October 13, 2016), one could take the view that by awarding the prize to Dylan, “the Nobel committee is choosing not to award it to a writer, and that is a disappointing choice.” Not everyone would agree with this, of course. Because, aren’t lyricists writers too? BUT if one eyeballs the honours list of Nobel laureates for Literature since the inception of the award in 1901, I find it hard to put Dylan’s lyrics, heartfelt and soul-stirring as they might be, up there with the writing of Rabindranath Tagore, Romain Rolland, George Bernard Shaw, Thomas Mann, Pearl Buck, Herman Hesse, André Gide, T S Eliot, Bertrand Russell, Ernest Hemingway, Boris Pasternak, Pablo Neruda, Gabriel Garcia Márquez, Octavio Paz, Toni Morrison, Seamus Heaney, Günter Grass, V S Naipaul, Harold Pinter, or Orhan Pamuk, who in fact I am reading right now. Perhaps it is a reflection of my own immaturity or ignorance, and this award has certainly spurred me to pay closer attention to Dylan’s lyrics. Ms North makes the point that apart from significantly boosting the sales of literary works, far more importantly the Nobel Literature award sends out a powerful message that “fiction and poetry still matter, that they are crucial human endeavours worthy of international recognition.” There already are platforms for recognition of songwriting (the Grammy awards, for example). Bob Dylan is already celebrated in his own field, so to me, awarding a Nobel Prize for Literature to him is overkill, and bizarrely generous. I find it hard to believe that there were no contenders among poets and writers around the world to pip him to the post. Perhaps the awarding committee wanted to shed its stuffy image and appeal to a younger audience. 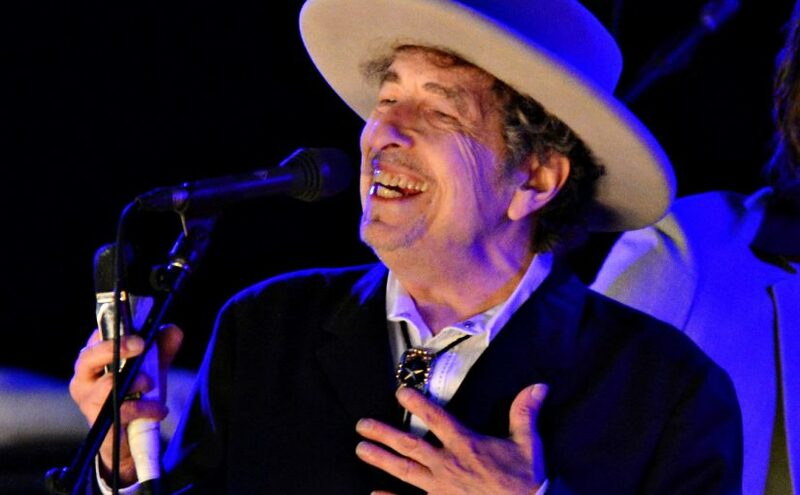 And if one puts Dylan’s winning of the Nobel Literature prize in perspective, and contrasts this with the wisdom of choice in awarding the Nobel Peace Prize in the last few decades in some cases, for example, then yes, Bob Dylan is far, far away the more deserving. Previous post: KHAAS AADMI BRICS vs AAM AADMI BRICS!